Prom season is just around the corner, so we’re reminding kids and parents interested in hiring a limousine company to check them out first. You might find a great deal on the Internet or see a great ad in the phone book, but that doesn’t guarantee a limo company is properly licensed. Do your homework before you put your money down. DOL is teaming up with the Office of the Superintendent of Public Instruction to send a poster with this message to every high school in the state. 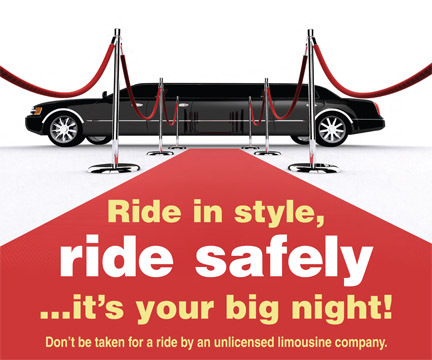 We don’t want anyone to be taken for a ride by an unlicensed limo company. To find out if the limousine service you want to use is licensed, visit the Department of Licensing website, click on the business licensing tab, and select, check Status of Business or Professional License. More detailed information about this is available in a press release posted on our website. Starting this summer, text messaging or holding your phone to your ear while driving will cost you $124. If you’re driving on the freeway, you can travel more than the length of a football field in the time it takes to read a short text message. For the past few years, if police pulled you over for a traffic infraction, they also could ticket you if you were holding your cell phone and talking. 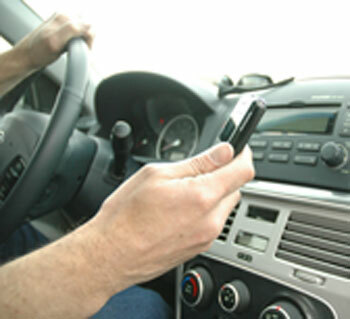 Now, talking on your cell phone could be the violation that gets you pulled over to begin with. Starting on June 10, talking or sending text messages while holding a wireless device will carry a $124 fine, after legislation signed today by Gov. Chris Gregoire that changes the current cell phone law into a primary traffic offense. Since 2007, holding a cell phone while operating a moving vehicle has been a secondary offense, meaning that officers could only ticket drivers pulled over for another violation. The new law adds hands-on cell phone use as a violation that officers can treat as a primary offense. A driver who is texting is as impaired as a driver with a .16 blood-alcohol level. That’s double the legal limit. With warmer temperatures and sunny skies around the corner, the number of motorcycles on the roadway grows. 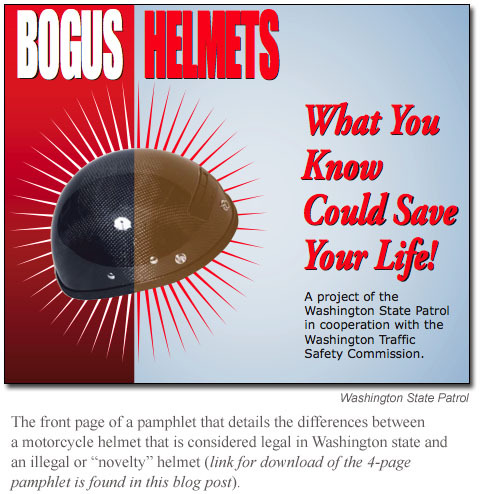 The Washington State Patrol strongly suggests that motorists keep special watch for motorcycles. For example, when stopping at stop signs, check twice before proceeding. “With the increased number of motorcyclists on the road comes the potential for more motorcycle collisions,” said WSP Captain Ken Ginnard. The WSP recommends that riders watch for road construction, traffic congestion and surrounding vehicles. It’s a sentiment shared by Department of Licensing motorcycle safety technical specialist Tom Fite. “Always be alert for sudden changes in traffic and keep a margin of safety around you,” Fite said. Motorcycle collision data show that approximately 60-percent of motorcycle fatalities are single-vehicle incidents. The most common causes of these incidents are excessive speed, impaired driving and the inability to stay in the lane of travel. The DOL and WSP require that motorcyclists be properly trained, always ride with their headlights on and that they wear bright clothing and proper safety equipment, including a DOT-certified helmet. Riders must also have the proper motorcycle endorsement. Do I really need an endorsement to ride a scooter? In Washington State, street-legal, two and three-wheeled vehicles can be defined as a moped or a motor-driven cycle (scooter or motorcycle). It all depends upon engine size and speed. A large number of riders do not know that (most) scooters require an endorsement. Mopeds vs. Scooters: What’s the difference? Simply put, a scooter is a two or three-wheeled vehicle that is 50 cc’s or larger and can go faster than 30 mph. A moped is a two or three-wheeled vehicle that is less than 50 cc’s and cannot travel faster than 30 mph. Scooters, motorcycles and trikes that are 50 cc’s or larger and can go faster than 30 mph must be licensed. All of these vehicles are legally defined as motor-driven cycles. Riders must possess a valid driver license with the appropriate endorsement. Mopeds that are 49 cc’s or smaller and cannot go faster than 30 mph must be licensed. These vehicles are legally defined as mopeds. Riders must possess a valid driver license. In Washington, there are separate endorsements for two and three-wheeled vehicles. A rider will need a category 3 endorsement for a two-wheeled vehicle; while a three-wheeled vehicle requires a category 5 endorsement. If the rider successfully passes knowledge and riding skills tests for both two and three-wheeled vehicles, he or she can opt to add a category 7 endorsement to his or her license. 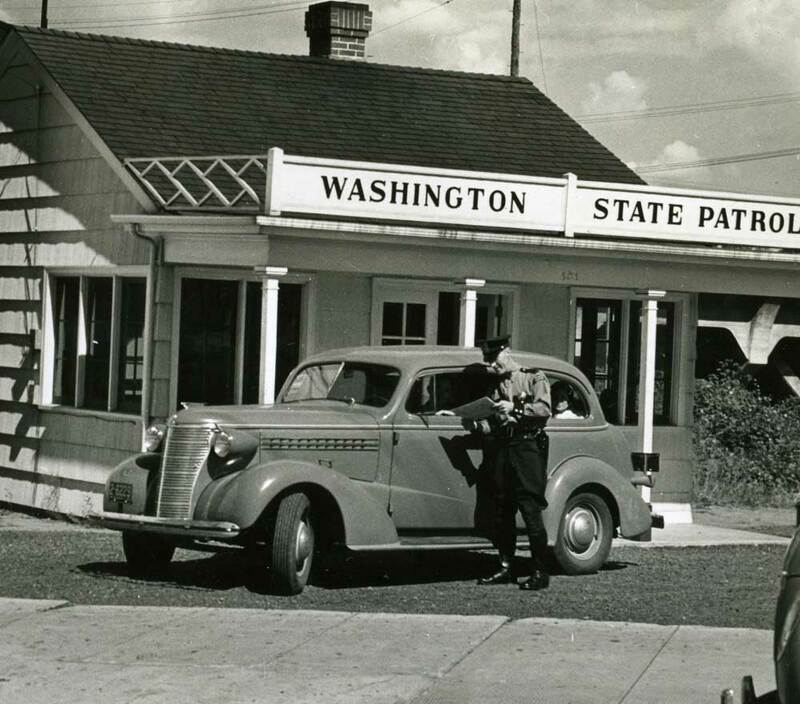 The State Patrol administered driver exams in the 1930's. After the first driver licenses appeared in the early 20’s, Washington got serious about laws for public roads and drivers in 1937. Chapter 188 and 189, Laws of 1937, was the Legislature’s first foray into a set of comprehensive motor vehicle laws. That may be because states with standardized license laws saw vehicle-related death rates decrease by 25 percent from 1926 to 1933. In that day, the Department of Licensing appointed State Patrol troopers to administer driving tests, after the 25 question “mental examination” was passed. That’s another story altogether. The origin of today’s current driver information database also starts in 1937. The law established a central record system, based on a letter size cardboard case record which could be folded and placed in a file cabinet. The records contained the name, physical description, date of birth and whether the license had ever been suspended or revoked. And to get an idea of how quickly things were moving, in the 20 years from 1905 to 1925, vehicle registrations grew from 763 to nearly 350,000 each year. March marks a milestone in the Department of Licensing’s Enhanced Driver License/ID Card program. In a little over two years, more than 150,000 Washington residents can now say they have an enhanced license or ID card. Even after the conclusion of the winter Olympics in Vancouver, B.C., more than 2,700 enhanced licenses were issued during the first week of March. The Enhanced Driver License satisfies new federal requirements for re-entry into the U.S. at land and sea borders between the U.S., Canada, Mexico, Bermuda and the Caribbean. This new requirement, part of the federal Western Hemisphere Travel Initiative, took effect June 1, 2009. Washington is one of four states that issue Enhanced Driver Licenses or ID cards. The fee is $15 to upgrade from a valid driver license. You are currently browsing the Licensing Express blog archives for March, 2010.